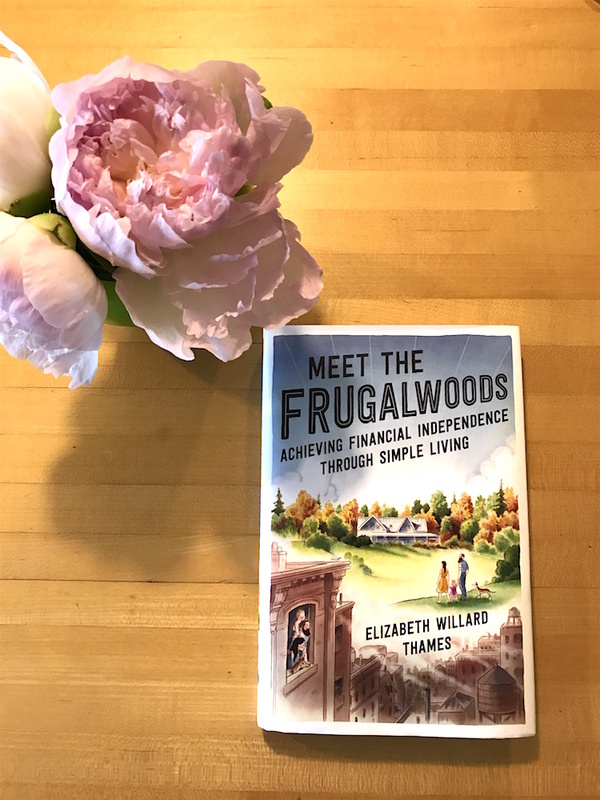 My Book, “Meet the Frugalwoods: Achieving Financial Independence Through Simple Living,” Publishes Today! My book baby and actual baby, Littlewoods! I can’t believe I’m actually writing these words, but, as of today, I’m officially a published author! 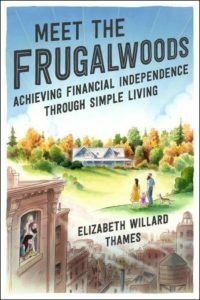 My book, Meet the Frugalwoods: Achieving Financial Independence Through Simple Living, is out today! 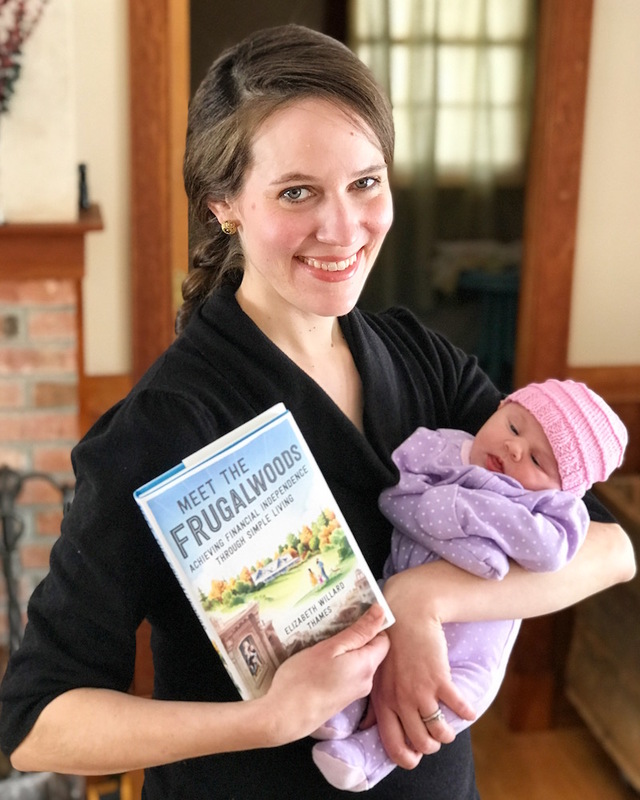 Published by HarperCollins, I am beyond thrilled to share my story of realizing the joys of frugality, simplicity, and the power of wisely managing your money. I’m going to be on NPR’s live call-in show, On Point, today (March 6, 2018) at 11am EST to discuss my book. Tune into NPR today during the program and, if you’re so inclined, call 1-800-423-8255 to chat with me live on air! Update: here’s a link to the podcast of the interview. Many of you have already pre-ordered a copy, for which I am most grateful. And! You got a free signed bookplate from me! Fear not, for if you too would like to snare a free signed bookplate (picture of what that is at right), if you order my book by March 13, 2018 (that’s a week from today), I will happily mail you one. How Do I Order Your Book? Free signed bookplates! Get yours! How Do I Get My Free Signed Bookplate? Hold On, Does This Book Cost Money? My book! Plus some peonies from our garden. Yes, this book costs money. For the first time ever, I’ve done something that’s not free. My blog is free, my Uber Frugal Month Challenge is free, all of my email/Facebook/Twitter/Instagram/blog comment responses are free. This book, however, is not. And if it doesn’t fit into your overarching financial plan to purchase the book, I totally understand. If that’s the case, please ask your local public library to order it so that you can check it out and read it. However, if buying my book does fit into your budget, I would really appreciate it! Purchasing my book is a way to support all of the work I do through Frugalwoods and it would be super nice of you. Plus, it makes a great gift for anyone in your life who could use a dose of inspiration to get their finances in order and follow their dreams (note that “get their finances in order” is listed first). What’s In This Book Anyway? This book is completely original material! It is NOT recycled blog posts! I wrote the whole darn thing from scratch (which is why it took me so long) and many of the chapters were rewritten upwards of a dozen times. If you read my book and enjoy it, I would greatly appreciate it if you would leave a review of the book on Amazon. My goal in writing this book is to bring the message of the transformative power of frugality and simple living to a broader audience and, if you’re interested in that mission too, you can help tremendously by writing a review! Go here to leave a review. Thank you! 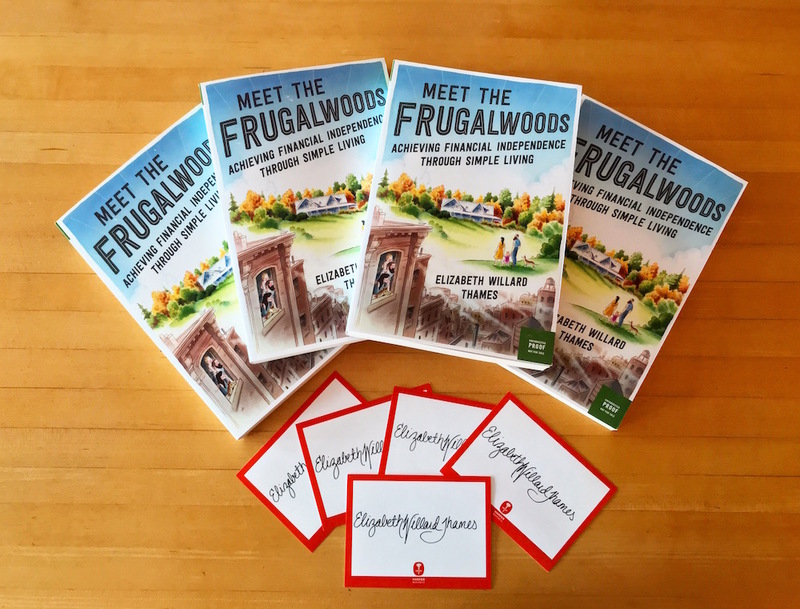 You can also join the conversation on Twitter, Facebook, and Instagram by using the hashtag #Frugalwoods. Include a photo of your copy of the book if you’re so inclined (because you know how much I love photos!). Finally, I want to offer a huge thank you to all of you for faithfully reading Frugalwoods over the years, inspiring me with your comments, prodding me to think more deeply, and encouraging me to continue exploring what it means to live a life outside of the consumer norms of our culture. You all provide me with the motivation to continue this work, which is truly my life’s passion. Thank you! AHHHHH! I’m so excited it is finally publishing!!! Can’t wait to read it 🙂 Congrats! Huge congrats Liz! I’ve heard a few of those podcasts and realize that you put a ton of work into the book, so it must be so awesome to see it actually come to life. And congrats on the NPR spotlight too! Congrats! I’ve seen a friend go through the work of getting a book published. It’s a big undertaking! Yay ordered your book today. Book depository was the cheapest option for us Aussies. Now the waiting for the delivery. Decided to work some overtime and buy it with part of my pay from the pay. I have gained so much and so enjoy your blogs that I decided to reward myself and you with the purchase. Just last month alone I did the frugal challenge and saved over$500, one in October $700 and$300 on my first one in July. I look at money completely differently. I was never a shopaholic but I now question all purchases and look to see the value in each one. I am sure your book will more than pay for itself and so look forward to it’s arrival and then lending it to my children. Pre-ordered and got the ebook today, can’t wait to read it! 🙂 Congratulations! Just started reading your book and I can’t put it down! Excited to keep reading it and learn more about your story. I really appreciate the intro and the discussion of privilege. Also, I live near the DC metro area and loved reading about your hikes! Congratulations on your book and your new baby! CONGRATULATIONS on this long-awaited day. I’m sure the book will be as inspirational as your blog and will help people mired in trendy spendy lifestyles to see that there is another, better way. Frugality is not merely about saving money. Rather, self-imposed limitations create a deeper meaning in life on all levels. Liz, you have talked the talk, and walked the walk, and I know the Frugalwoods Nation is CHEERING for you today! Congratulations! I can’t wait to read it. My library is currently acquiring three copies and I’m at the top of the holds list! Bravo on all your hard work! Congratulations! Just ordered it for my Nook and I”m looking forward to reading it over the next couple of weeks. Just got done with Ric Edelmans book and wanted to read something FI. I’ll put it on my blog as well. Congrats! This is so exciting! Congrats! I loved your interview with Mad Fientist! Yay I’m so excited the book finally came out! I was just listening to your podcast interviews on Bigger Pockets and Choose FI this morning. I ordered the book through our local library yesterday. Hopefully, I’ll get access to it soon!!! I am so excited for you and looking forward to receiving my pre-ordered copy. Congratulations! Congratulations Liz! I preordered my copy of your book from Amazon and it will be arriving today. I can’t wait to start reading it! Congratulations! You are such a great example for your children on going after your dreams and staying focused on what really matters. I’ve been doing a number of online surveys the last while for Amazon gift cards to use for Christmas shopping, might have to tap into those for getting this book!! Mothers Day is coming….. Need to get a little something for me with the gift cards every so often, this is on the ‘me’ list!!! So looking forward to reading this book of yours!!! All that hard work of yours is paying off for you now!!! Can’t wait to get hold of it!!!! Patience…….. Hugs to those little girls of yours!!! That was a very important point — “This book is completely original material! It is NOT recycled blog posts!” Thank you for that: I will now DEFINITELY be purchasing it! Amazon says mine is waiting at my door!!! 😀 Yay!! So sorry…I forgot to congratulate you on your momentous achievement! I SO enjoy reading your blog; I’ll be over the moon reading your book! Hearty congratulations, Liz! I preordered three copies (one each for my two adult children, one for my husband and me!) and was notified by Amazon that they’re shipping today. Can’t wait to read it! I was able to pick up my fresh new copy at my local public library last week! So exciting! You are on a ROLL! Look at those podcasts! I only caught 2 of them and wasn’t aware of the others. For readers on the fence because you can read for free here…as a blogger, there’s only maybe UHHH…100 million things I would say in a private book than posted and easily c/p in a blog post for the world to misquote. And that’s why a book deal is the ultimate dream for both fan and writer. Don’t read the comments on the On Point post! Just don’t. Seriously – what a bunch of negative nabobs. Congratulations Liz! My copy should be in my mailbox tomorrow!! I am now reading your book and I’m unable to put it down. Congratulations! You are a fantastic writer. You should really consider writing fiction. You had me at the Dedication Page!! …Right before the Table of Contents! Thank you. Enjoy this time! Now! Back to reading!! Congrats Liz! I ordered it from Amazon months ago, waiting with impatience since I live in Scandinavia and does NOT read your book right now. What a great world this is, being able to grow a brand of yours like that, then getting published. I used to be in publishing and normally it went the other way around – some publisher would guess your potential, then MAYBE publish you, THEN waiting for demand from consumers. We are already here, waiting for any output from your temple of Vermont wisdom. Even though I really look forward to your book, I thank you so, so much for years of life changing inspiration. Ermergerd so excited for you!!! I ordered the Kindle version first thing this morning and started reading on my lunch break; I know I won’t be able to put it down tonight. You’re such a gifted writer and inspiration – thank you for sharing your story! P.S. – Coming back to add that if you didn’t gain at least 30 lbs in grad school, I’ll be very disappointed. Hahaha, oh don’t worry, the grad school weight gain is definitely in the book :)! I have a long flight tomorrow with a newborn and just downloaded my copy! I am thrilled to support you and can’t wait to read it. You have made an incredible difference in my family’s life – we are starting side businesses we are passionate about and are saving tens of thousands of dollars more each year thanks to you. Enjoy Littlewoods and the arrival of your book baby! Congratulations, I’m super thrilled for you. Congratulations, Liz! I’ve ordered your book for myself (and then to share with friends and family) AND requested it from our local library for the benefit of my community. Excited to read it! Got it today!!! Holding it in my hands, Liz. So excited for you, and I can’t wait to go home tonight, get my shower, make my tea, and start reading. A really big congratulations to you!!! You are awesome! The only thing wrong with your book is that it’s being delivered to my house in California today while I am on a lightning visit to Michigan so I do not have it to read on my flight home! I can’t wait to read it and am already inspired by the very fact that you wrote a book!! Congratulations! Congratulations, Mrs. Frugalwoods! You continue to be an inspiration. Glad to see you are getting the word out! Many congratulations!! The ebook version is already waitlisted in the Atlanta Public Library system ;-). Looking forward to reading it soon! My copy arrived today (yay Amazon!)! I have already affixed the awesome bookplate (so official!!) and cannot wait to read every last frugal-word!! Great job Frugalwoods!!! Laid in wait for the postal delivery – sitting down with a cup of Joe and my copy now! Congrats on both the book baby and the real baby! Woohooo!! So exciting! This is my first comment on your blog, but I love reading and am awfully grateful for all the work you put in! Huge congratulations. I’ve had the book on the waitlist at my local libraries but today decided to see if one of my local bookstores had it–it did–and went ahead and bought it because 1) I want to read it now and 2) I’ve gotten so much out of your blog, your challenges, and all those interviews with you on podcasts and other places and your participation monthly in Martinis and Your Money, that it made sense to actually buy the book! Cannot wait to read it and post a review!!!! Congrats! I’m a librarian and actually processed your book this afternoon to start filling holds! You’ll be happy to know all our copies have holds WITH a waiting list. And we bought several! It’s a big day- enjoy it! I really enjoyed your time on OnPoint and thought you did a FABULOUS job! Some people are just so close minded and for that their life is probably not very joyful. I applaud and thank you for all you do! Congrats on the book! And congrats on your new baby!! Keep it up girl! I pre-ordered it on Audible and I’ve just finished downloading it – can’t wait to start listening. Huge congratulations! Congratulations! On both new babies! What an extremely beautiful picture of you both. Congratulations on the book! My copy just arrived today. Yay to pre-ordering!! I just read your book in one sitting on my Kindle. I loved it. Although we are at different stages of life your thought processes are so inspirational. Congratulations on a book well written with such warmth, humor, and candor. Thank you so much! And, if you’re so inclined, I’d love it if you’d leave a review of the book on Amazon :). Yay! My copy arrived today! Now, this may be a strange question… is the bookplate a sticker? I assumed it was, but can’t seem to detach it from its backing if so. My library has not received their copies of the book yet, but you might be pleased to know that there are already 16 people “in line” for it. Congratulations! Congratulations Liz! It especially warms my heart to see Gracie on the book cover. Congratulations!! What an accomplishment. Can’t wait to read it. I really enjoyed your OnPoint segment and thought you did a FABULOUS job! I was disappointed in the comments section, but it is a reminder that close-mindedness and negativity are not parts of a fulfilling, joyful life. I applaud and thank you for the work you do and wish you the very best! Congrats on the book and your new baby girl! Congratulations! It’s a great milestone! I will have to get around to doing the bookplate application as, just yesterday the I noticed the charge went through for my purchase at amazon, I can’t wait to read your book, you are both so inspirational, passionate and the real deal. Congratulations. I love your blog and good to see you looking SO happy. I really enjoy your blog and look forward to reading the book. I just listened to your more recent So Money podcast appearance, and it made my day when you said the first finance book you read was Personal Finance for Dummies. That was also my introduction to personal finance. Eric Tyson set me on my path back in 1997, and I’ve found that financial security really eliminates a lot of stress that so many people struggle with. Keep up the awesome work. Can’t believe you actually wrote a book! Such a huge achievement! Congrats! I received your book yesterday right on time and proudly put your signature nameplate in it. I read about half the book last night and am enjoying it. I am a retired widower and can’t implement all of your ideas but certainly follow many of them. I think your values and approach to life is refreshing in these days. Your parents should be proud of Nate and you. Congratulations- in halfway through it, ordered a kindle version (I’m in the UK). What really resonated with me were your comments about frugality when young, in the first flush of a relationship, building a life together. That’s certainly true of my partner and I, it was really insightful. Can’t wait to finish it! Congratulations! I’ve been wading my way out of my own stomach bug, and home from work with my vomiting one-year old yesterday, when I was surprised with the Amazon email that I had purchased your book. (I pre-ordered in October and completely forgot the release date.) I tore through the book, finishing today at lunch. It’s wonderful, and I learned so many new things about your journey to your homestead. Nuggets of wisdom sunk in better than they have reading the same ideas on your blog (philosophy-type stuff, not frugality tips). The title is apt! And the cover is bittersweet, with Gracie standing there in the field with you. What a wild year 2018 has been for you so far! All the best to you and your family. Thank you so much! I am really impressed you read it so quickly! If you’re so inclined, I’d be very grateful if you’d consider leaving a review on Amazon. Congratulations on your book. I ordered it from Amazon yesterday so I should have it tomorrow. I listened to your On Point podcast and I thought they were a little rough on you. It seemed that they did not GET that you are NOT saying that everyone should aspire to live the way you live, but that your real message is that each person should live according to their own values, not societal imposed expectactions. Congratulations on your new little one. Welcome to the world Sweetie. I have done your Uber Frugal challenge three times but this is the first time that I have posted a comment. Keep doing what you are doing! Amazon shipped my book today!!!! Great piece in the Guardian! Unfortunately the commentary on the article reveals a complete misunderstanding of the financial independence movement. Hopefully though the article will switch a light on for UK readers about the possibilities of choosing a different path in life. PS my offer to distribute nameplates for you in the UK still stands: if you send me a pack of them I would be happy to post them on to your British readership. It would be a little contribution to the FIRE movement in my home country! Sooo-the book arrived earlier this week while I was telecommuting. As soon as I saw the Amazon box on my doorstep, I clapped my hand in glee and exclaimed. “Mrs. 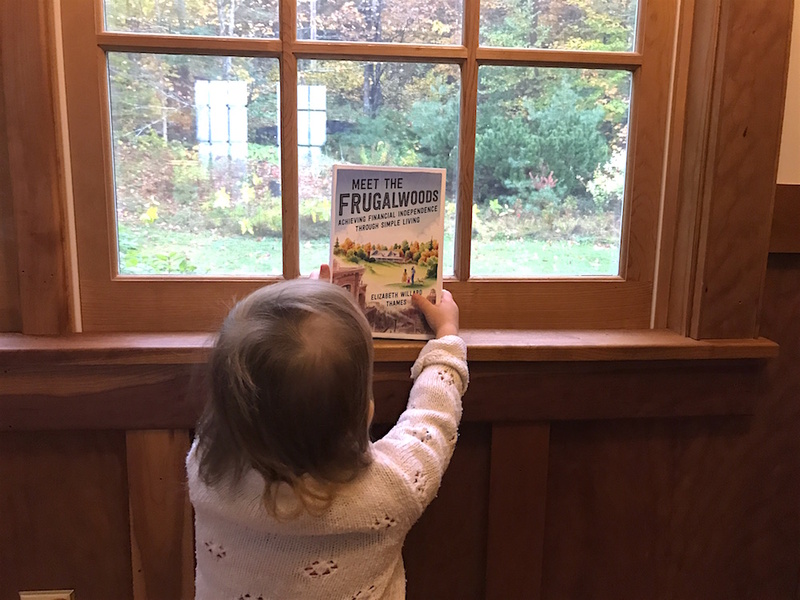 Frugalwoods is here!” I have been savoring a few chapters after work in the evening. I am down to the last 2 chapters and don’t want it to end. I really love the book-one of the highlights has been the humor exhibited throughout. Although I am not usually a fan of sequels, I would love to see one focused upon frugal hacks for each budget category. 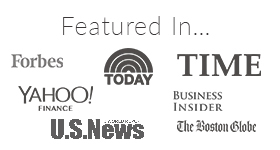 The infamous Soda Stream story alone would make it i best seller! What an amazing accomplishment! Congrats on achieving it. I’m just coming from Michelle’s blog where she interviewed you. I just want to congratulate on your book launch and for the great content you delivered in that interview session. Tip from a Dutch FIRE convert: You may want to read this one too. Great book on FI in Dutch. Loved it. I actually started reading your book before I started reading your blog, so I just found out about the bookplate. I tried to send the receipt to bookplate@frugalwoods.com but it won’t let me send it! The send button disappears as soon as I add the email address. What should I do? and you are already inspiring me to make some serious changes in my lifestyle. Listened to your NPR appearance, and enjoyed hearing your presentation very much. I think it was partially derailed by the host and Singletary, for minimizing the notion that there is always something people can do to improve their situation, if they only have some assistance as to what that might be. Everything is a choice, and while your situation may not be a good point to start from for some, if you don’t start nothing changes. Besides your book, there are other resources for those in other situations, and they did not make a point of those resources. (Amy Dacyzyn’s book(s), down—to—earth.blogspot.com for example). Doing what you’ve always done, will get what you’ve got. (Robbins, I think..) Kind of like the joke about why someone cuts the ends off the ham. Guy asks his wife why she’s doing that, then his mother-in-law, and when he finally get to grandma, the answer is “To make it fit in the pan”. Mindlessly doing what you’ve always done will not change the outcome. I have been following your blog for a while. Today, I came across an article on you whilst reading business news. I couldn’t withhold it from you. It made me smile. So many congratulations!! I binge read this in 2 days and can’t wait to now lend it out to friends who I know will enjoy it! Okay, so I bought the book – couldn’t put it down – enjoyed every bit of it to the point that I DID NOT (seriously) want it to end. You must write another book – “The Frugalwoods – The Journey Continues”! Thank you so much! I really appreciate your kind words! And if you’re so inclined, I’d love it if you’d consider writing a review of the book on Amazon. Many thanks! I preordered your book on Amazon because I thought the title was intriguing. I had never heard of your blog either so the Frugalwoods World is new to me. I loved the book and am now working my way through the blog which is also very good. I am retired but can definitely use some inspiration to spend less so I can do more fun things. Mrs. FW I think you’re amazing birthing a baby and publishing your book all within weeks of each other. Also your little girls are darling! Thank you so much! I really appreciate it! And, very happy to have you here in the Frugalwoods community. If you’re so inclined, I’d really appreciate it if you’d consider writing a review of the book on Amazon. Many thanks! Thank you Mrs Frugalwoods, your book was exquisite, please feel free to write another installment if you wish. My take home message from your book was it takes effort, time and determination to be weird and it’s absolutely worth it. I hope you’ve celebrated with a glass of (frugal) wine! Thank you! I use a generic version of Cetaphil fragrance-free gentle face wash (I’ve found it at both WalMart and the Dollar Store) and at night, I use Cetaphil fragrance-free lotion. During the day, I wear SPF 45 Neutrogena sunscreen (it’s not cheap and I’d love to find a cheaper version that’s not super greasy and oily–let me know if you know of one!). That’s it! For special occasions (like when I had Mr. FW take my headshot for the book 😉 ) I’ll wear make-up and I have some old drug store brands in my drawer that I pull out for those occasions. Wonderful book. I got it Saturday and finished it this morning (Monday). I love your story. 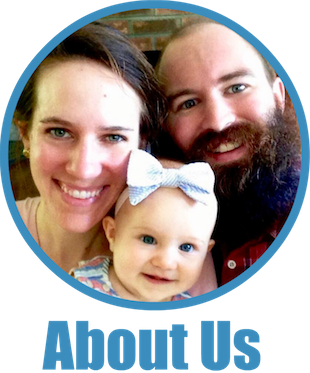 I’ve been following your blog since shortly before you had your baby & moved to the homestead. I can’t remember where I found your blog but once I saw Gracie I was in love! I’m sorry to hear she passed so unexpectedly. Your story reminds me so much of Amy Dacyzsyn of The Tightwad Gazette. She tells how she had to be extremely frugal to accomplish what they wanted but that was part of the journey! I hope your book inspires as many 20 and 30 year olds (and older) to stick to their dreams and don’t get caught up in consumerism just because everyone else is doing it. I’m 57 so in the prior generation but I’m passing your book onto my daughter who’s 22 and getting ready to graduate from college. I hope she can learn from some of your experiences but I think everyone needs to struggle some just to figure out what’s important to them. My husband and I have been self-employed software developers since 1989 so we have the ‘do our own thing’ mindset. Since our daughter has grown up with us always being around I hope we’ve passed on some of the non-conformity mindset to her too. We’re financially independent for the last couple of years but still do a little work for one of our clients. Over the last few years we’ve converted all our investments to low cost index funds. I love JL Collins’ “FU money”. We’ve always needed to be able to have a nest egg to walk away from clients we just didn’t want to work with. Enjoy your time with your little girls. It goes by so fast. Thank you so much for your kind words, Donna! I really appreciate it! If you’re so inclined, I’d be very grateful if you’d write a review of the book on Amazon. I’m a big JL Collins fan too :)! Congrats on the book! I randomly picked up a copy at The Strand bookstore in NYC. I started reading on a Saturday and was finished on Sunday. Thoroughly readable. Interestingly, it was your book that introduced me to your website and not the other way around. Now I get to see how the adventure continues. Thank you so much, Sarah! I really appreciate it! And, if you’re so inclined, I’d be very grateful if you’d consider writing a review of the book on Amazon. Many thanks! Just wanted to say I bought the book, read it during my metro commute, and found it really inspirational. I’m a little older than you and have been following your blog for a while. I’m pretty good with my money but I now feel inspired to really think about whether each purchase is something that’s serving a bigger goal. I even printed out and pored over six months’ worth of credit card statements — time to start spending less at Target. Thank you and congratulations! Thank you so much, Amy! I really appreciate it! And I hear ya on Target–that used to be one of my downfalls too! If you’re so inclined, I’d be very grateful if you’d consider writing a review of the book on Amazon. Many thanks!!! I read this book thanks to my local public library (and I told them to purchase it, so I got first dibs!). Very much enjoyed it, and it has many wonderful frugality tips in addition to being a great read and engaging story. Thanks for sharing! Congratulations! I’ve just finished an intense “Meet the Frugalwoods” festival! Brisbane Square Library, the temple. I worship at every Sunday (also every Wednesday) heard my request and bought your book!! I got it this morning, and have just finished the last page! I now have whatever the equivalent of indigestion of the brain is called, and was SO sorry to reach the end! I hope you won’t be driven to add to the family to produce another book, but I do hope there WILL be another,your first was such great reading. Whenever I walk into the library I always experience the. “”Walking into Tiffany’s with someone else’s Platinum Amex” sensation. ANYTHING I want is mine!!. Thank you for the book,and thank you for sharing your philosophy of joyous spending, so different to the unexamined haemorrhaging of money that society encourages. May you and yours have glorious lives, and may they always be aware of them. Thank you so much, Coral! I really appreciate it :)! pre ordered your book as soon as it was advertised. waited not so) patiently for it to arrive on my kindle. Started reading and couldn’t put it down. Loved every word. I feel I know you all as friends. Have followed your blog for a couple of years and love everything about it. Keep up the good work. Good look and best wishes to you all. I listened to your book in audiobook form. I thoroughly enjoyed it. It was a digital page turner. You’ve motivated me to reign in my spending. I hope you continue to write books, because I am already looking forward to your next one!